On Sunday, April 22, UUWaco enjoyed an inspiring service, including beautiful spring flowers from our own grounds, and we enjoyed special music from our talented choir. As we celebrated, we renewed our commitment to care for Mother Earth. Picture by … read more. On Sunday, April 14, UUWaco volunteered at the Animal Birth Control Clinic in Waco, TX, as is our annual tradition. We crimped rabies tags — 1,500 of them! That’s a lot of crimping! We also enjoyed a beautiful day and friendly fellowship. We can’t wait … read more. Please join us for an inspiring service, which will include beautiful spring flowers from our own grounds. Please feel free to bring flowers of your own. We’ll also have extra flowers and foliage for you. Terri Cox and Johnny Binder shared a part of their journey to help orangutans, a species that is critically endangered. Cox and Binder’s presentation included the efforts … read more. In a time of great challenge and heartbreak in our world, what does our faith demand from us? At this year’s General Assembly we will explore the power, possibility, purpose, struggle and joy of finding the path forward … read more. Religious Education is on Vacation! Sunday Religious Education is on hiatus! Religious Education for Kids and Adults is on hiatus until April 7, when we kick off our new Adult RE class, “White Fragility: Why It’s So Hard for White People to … read more. Back by popular demand: Belief Panel, Version 2! We learned so much last Sunday – and we didn’t get finished – we’re continuing our UUWaco Belief Panel this Sunday! 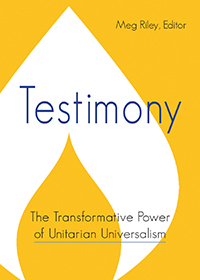 Theologian John Wesley once asked, “Though we cannot think alike, may we not love alike?” Unitarian Universalism answers … read more. Pastor Cervantes Performs with The Central Texas Choral Society! April 16, 2019: Pastor Kris Cervantes performs in “Requiem by W.A. Mozart” with the Central Texas Choral Society at the Midway ISD Performing Arts Center, 7.30 pm. Theologian John Wesley once asked, “Though we cannot think alike, may we not love alike?” Unitarian Universalism answers with a resounding “Yes!” This week, three UUWaco members will join Pastor Kris Cervantes for a moderated conversation about their spiritual journeys and present beliefs. Join us for this … read more.